The boys return with yet another episode of Scooping the Texas Rangers and it starts off with a very sad goodbye as one of the hosts loses one of their favorite players. But as Connor Jackson departs, the Texas Rangers get ever closer to the start of the regular season which means the possibility of seeing the last of guys like Ian Kinsler and Michael Young. Though Kinsler has a club option for the 2013 season, could Texas be looking at a young prospect to take his place in a year or two? What happens with Young? The boys debate what his worth is to the organization and whether or not it’s worth discussing an extension but only if it’s less than what he’s currently making. 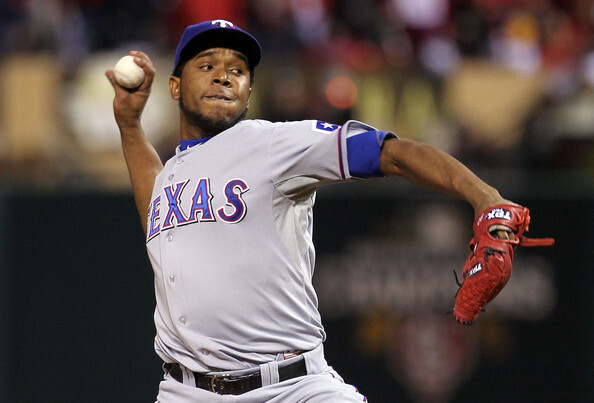 Neftali Feliz is another topic that fans are talking about and with the success Scott Feldman has carried over from last season, could he be putting pressure on the young right-hander to have success early or possibly lose his job to the veteran. All that and a conversation with former Texas Rangers’ scout and current National Baseball Analyst for Scout. com, Frankie Pilieri, about the likes of Jurickson Profar, what he looks for as a scout, his take on Yu Darvish and a prediction on how the AL West will shake out.